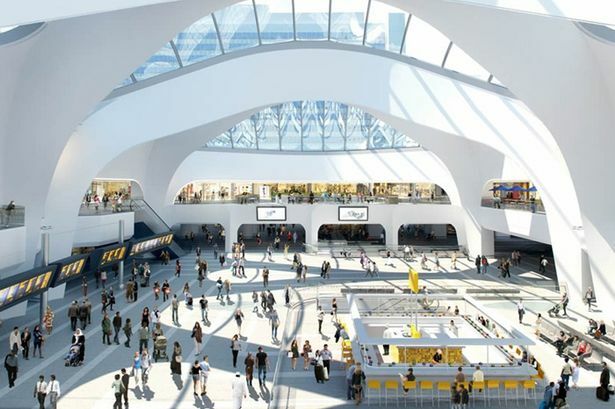 With Grand Central Birmingham due to open this September, the city is gearing up to ensure that residents from Birmingham and the wider city are ready to take advantage of more than 1,000 job opportunities that will be created. Construction has now begun on the final phase of Birmingham’s major new retail and dining destination that will sit above the transformed New Street Station. When completed this autumn Grand Central will enhance the city’s retail landscape and open up a mix of retail, hospitality and customer service roles in the heart of the city. Training providers are now preparing local candidates to develop the right skills and attributes to meet the expectations of employers coming to the city, enabling them to recruit the best workforce from the local community. Grand Central Birmingham will be anchored by a 250,000 sq ft John Lewis shop, one of the retailer’s biggest outside of London, which will be providing over half of the 1,000 opportunities available. Many local people, including a number of apprentices have already been involved in the construction of Grand Central and New Street Station supporting one of the city’s leading priorities: the creation of training, development and employment opportunities for the people within Birmingham. The Grand Central Jobs Roadshow will be going live this February, with community events across Birmingham promoting employment and training opportunities. Events are taking place in all 14 Jobcentres across the city, as well as at community venues and city centre venues, supported by the Department for Work and Pensions and the National Careers Service. To apply for a role, register for job alerts or find further information about jobs at John Lewis jobseekers can click HERE. While the retailer has already begun recruitment for some specialist roles the majority of jobs will not be advertised until May.